At Valley Health Clinic, our team specializes in sports acupuncture, providing effective, evidence-based, and affordable care to restore your health and make your best health better. Willard Sheppy is a licensed acupuncturist (LAc) and Founder of Valley Health Clinic specializing in using Traditional Chinese Medicine to treat acute injuries and chronic conditions, and to improve sports performance and rehabilitation. His patients have told us time and again how impressed they are with both the effectiveness of his treatments and his personable and straightforward professional style. Will is a great listener, and he has a knack for explaining his treatment methods in a way that makes his patients feel both well informed and comfortable. Trained at the #1 acupuncture school in the U.S.
After earning his bachelor of science in Environmental Science at Oregon State University, Will completed a three-year master’s degree program in Acupuncture at the Oregon College of Oriental Medicine, the oldest and most respected acupuncture school in the United States. Driven by a lifelong passion for sports, Will has always taken the opportunity to provide care for athletes participating in swimming, martial arts, and triathlons on both state and national levels. He also studied sports acupuncture under Reeves Whitfield and Matt Callison, two of the most celebrated and respected teachers in the field. The National Commission for the Certification of Acupuncture and Oriental Medicine (NCCAOM) has acknowledged his constant commitment to continual professional growth with the title of Diplomate. 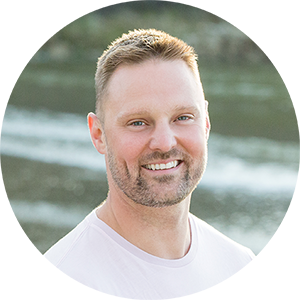 With his combination of quality education and dedication, Will Sheppy is an ideal practitioner to have on your team as you move toward optimal health and athletic performance.